You are here: Home / Transgender / What Makes Amazon’s ‘Transparent’ So Special? What Makes Amazon’s ‘Transparent’ So Special? You might want to cancel your weekend plans. 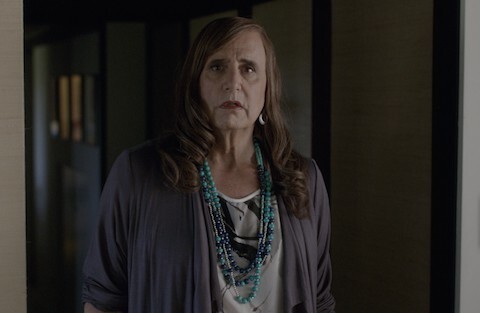 Today Amazon releases all ten episodes of their excellent original series, Transparent. Not only is it far and away the strongest offering from the streaming service (and one of the best this television season), it’s also a new high-water mark in telling trans-inclusive stories. The series follows a Los Angeles family with three adult children as they cope with their father’s coming out as a transgender woman. Forced to re-examine their family dynamics, the sun-soaked dramedy pushes and pulls at all members of the Pfefferman clan, as they struggle to live openly and honestly with one another and within themselves. Maura Pfeffermen isn’t exactly the sort of role you’d envision for Jeffrey Tambor — the self-described “schlumpy” 70-year-old actor best known for portraying George Bluth on Arrested Development and Hank Kingsley on The Larry Sanders Show – but he is beyond fabulous. Labels like “career-defining” don’t do justice enough to his work here. By placing a trans story in the spotlight, the show has opened itself up to some scrutiny, particularly in the choice to cast a non-trans actor in the lead role. It’s a criticism Tambor anticipated, but one writer and activist Jennifer Finney Boylan (who serves as a consultant on the show) feels will be moot once viewers see Tambor in action. She’s right. Tambor instills so much grace, dignity and just the right amount of trepidation into his character as she begins to live her life not just as a woman, but free from the burdens of the secret she’s been carrying all these years. In a way, that could be said for all the characters on Transparent. For all the bravery and gusto with which the show tackles the trans experience, the other members of the Pfefferman family have their own issues. Eldest daughter Sarah (Amy Landecker) is coping with a marriage gone stale and the reemergence of her former female lover, while Maura’s son, Josh (Jay Duplass), is navigating his relationship with a young musician he’s producing. (Many viewers may feel his story is probably the least compelling of the pilot, but really picks up in the third episode.) There’s also a stand-out performance from Judith Light as Maura’s ex-wife. But we’re partial to the performance by Gaby Hoffmann (Girls, Louie). As the baby of the Pfefferman family, Hoffmann’s character Ali is a thirtysomething acting like a twentysomething acting like a teenager. It’s easy to see parallels in her journey of self-discovery with Maura’s (and with Sarah’s and Josh’s, for that matter). Hoffmann perfectly captures that balance of know-it-all and know-nothing naïveté. With a strong bond to Maura and without having yet fully established her own independence, she’s something of a second anchor for the family. In reality, the actress is getting ready to start her own family with the birth of her first child. She told us her definition of a good parent and how she thinks that’s reflected in the Pfeffermans. All these strong performances are not merely due to fortuitous casting. Creator Jill Soloway (who has previously worked on Six Feet Under and United States of Tara) brings such a thoughtful (and effective) touch to the work. It’s not just her leadership that adds something special to Transparent. Soloway has taken great care to cast a variety of trans actors in speaking roles and to prioritize trans-inclusion on set. The diversity is seen in the faces throughout the episodes of Transparent, but it’s also informed the complexities of the trans experience that underpin the show. Part of the brilliance in Transparent is how the story has positioned Maura’s coming out and transition alongside all the other ways in which her family members are unpacking their identities. The reason why this show will have such an impact is that it consciously (though not overly conspicuously) begs viewers to ask themselves to look at Maura’s journey and see all the ways in which they too have felt isolated because of who they really are. Again, for Soloway, that’s no accident. If nothing else, the family dynamics will feel familiar. 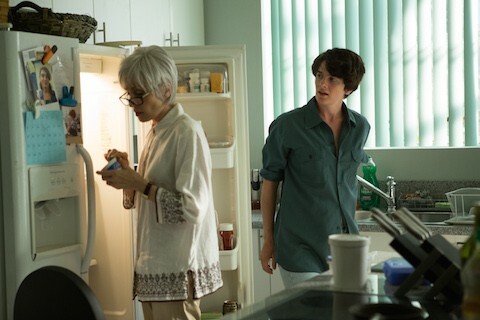 All episodes of Transparent’s first season are available today to Amazon Prime subscribers. Watch the pilot for free here.